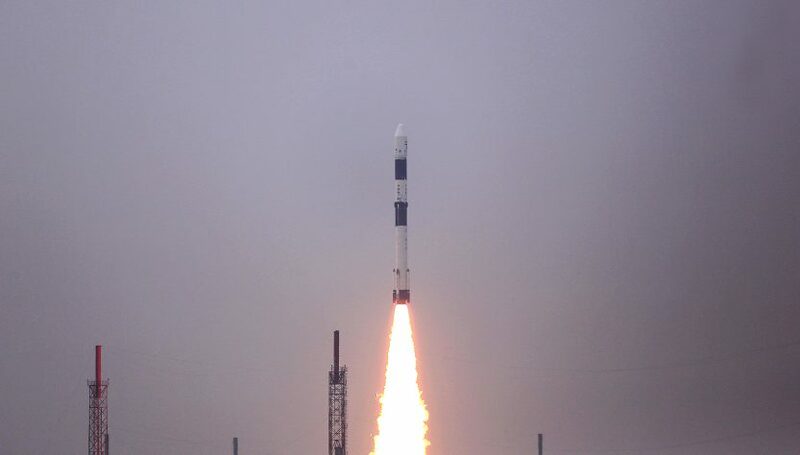 Last night, November 28, the India Space Research Organization (ISRO) successfully launched 31 satellites into orbit onboard a Polar Satellite Launch Vehicle (PSLV). The majority of the 30 small satellites onboard were for commercial Internet of Things (IoT) and imaging satellites, with Fleet Space Technologies, Hiber Global, Kepler Communications, Spire Global, BlackSky and Planet among the passengers. Satellite IoT firm Fleet Space Technologies added Centauri-1, its third satellite into orbit within a month. Fleet’s first two satellites were onboard the Rocket Lab “It’s Business Time” flight on November 10. Centauri-2 onboard the Spaceflight SpaceX SSO-A rideshare mission, now scheduled for a December 2 launch. If all goes well with SSO-A, Fleet will have bragging rights to having the largest current small satellite fleet (4) among the IoT start-up crowd and the first to put up satellites on three different flights in a month. Hiber Global has a different set of bragging rights as it celebrates the launch of its first satellite, HIBER-1. Earlier this week, Hiber was vetted as the Amazon Web Services (AWS) Commercial Startup Launch of 2018 at the AWS re:Invent Conference. Hiber’s IoT service will dramatically drop the cost of device (“Thing” if you prefer) monitoring to dollars per month. Kepler Communications put its second pathfinder satellite into orbit. The 3U CASE joins KIPP on orbit and will be used to demonstrate Kepler’s IoT service offering. Ultimately, Kepler plans to put up to 100 cubesats in orbit. The company secured $16 million in new funding in October and plans to have up to 15 satellites of its GEN1 constellation in orbit by the end of 2020. Spire Global had four LEMUR-2 satellites onboard the ISRO launch. The LEMUR-2 satellites add to Spire’s constellation for a total of 64 operational cubesats keeping track of aircraft via ADS-B, ships with AIS, and collecting GPS-RO data for better weather forecasting and climate monitoring. Spire currently has the third-largest fleet of satellites in orbit, behind Planet and Iridium. BlackSky’s Global-1 imaging satellite is the company’s first “in-house” commercial imaging satellite. The Global constellation will be a constellation of 60 satellites providing 1 meter imagery of the Earth’s surface. Global-2 is onboard the SSO-A rideshare mission. Planet never does things by halves. The company successfully put 16 new Dove 3r satellites into space on the latest PSLV launch, adding to the 120+ “flock” of 3U Doves already in orbit. Additional Doves and a pair of larger SkySats are onboard the December 2 SSO-A rideshare mission. Also onboard the PSLV flight were CICERO 8, HSAT 1, FACSAT 1, and Reaktor Hello World, plus a couple of technology/university demonstrations. CICERO 8, a 6U built by Terran Orbital, conducts GPS-RO data collection for better weather forecasting and climate monitoring. HSAT 1 is a 6U R&D testbed built by Harris Corporation that will take 700 meter resolution wide area imagery and demonstrate a deployable antenna design. Built by GOMSpace, FACSAT 1 is a wide area imaging satellite built for the Columbian Air Force, capable of taking 30 meter imagery to monitor land usage and provide natural disaster support. Reaktor Hello World is a demonstration of the Hello World 2U cubesat platform and includes a miniature infrared hyperspectral imager.